The family of an Information and Communications Technology consultant, Mr. Kayode Oso, has been thrown into mourning after he was allegedly murdered by his worker, Precious Victor. Victor, 20, was reportedly employed by Oso about a month ago to manage a bar he opened on Akinremi Street, Ikeja, Lagos State. The deceased reportedly retired to the bar every day after closing from work. Abubakar, to the bar on Saturday. The 53-year-old had entered the pub as usual when an argument ensued between him and Victor, who called in his friends. The three men allegedly beat the father of four to a pulp before stabbing him in different parts of the body. 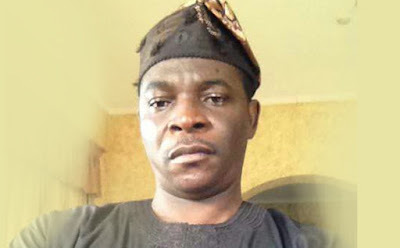 They reportedly locked Oso’s remains in the bar and drove in his car to a hotel in the Abule Egba area. Victor and Abubakar reportedly changed their bloodstained clothes and returned to the bar as if nothing happened. However, a customer, who had noticed when they left the premises with the bloodstained clothes, raised the alarm, leading to their arrest. They were subsequently taken to the Man Centre Police Division, from where the matter was transferred to the State Criminal Investigation and Intelligence Department, Yaba. Punch reports that when their correspondent visited the home of the Abeokuta, Ogun State indigene on Ziplux Crescent, Abule Egba, he met a crowd of sympathisers. The crowd, consisting of friends and family members of the deceased, heaped curses on the suspects, saying Oso was cut off in his prime. A man, who spoke for the family, told PUNCH Metro that they were too distraught to talk about the incident. “All we want is for the government to bring the killers to book. As a family, we are bereaved and the only thing that will assuage our pain is that all those involved in the killing are brought to book.”The wife and other relatives refused further enquiries. However, a family friend, who confided in Punch, said the late Oso was killed over money. “At about 4pm on Saturday, Kayode (Oso) went to the bar and at a point, he had an argument with Victor. He threatened to sack him, while Victor also said he was tired of working for him.“In what appeared to be a premeditated action, two other men came in and pounced on Kayode. They stabbed him in different parts of his body. When they saw that he had been injured and didn’t have any strength to struggle with them, they took his car key, locked him up in his office and fled.“They drove his car to a hotel in Abule Egba, where they changed their clothes. People who saw them when they left the bar with the bloodstained clothes suspected something had happened. They alerted the police. The police discovered that the man had died.”However, another family friend said that the suspects had attacked the victim in his office after demanding money and Oso’s ATM card. PUNCH Metro learnt that the third suspect, identified as Kelechi Kalu, is on the run and had been declared wanted by the police. The Police Public Relations Officer, ASP Olarinde Famous-Cole, confirmed the incident, adding that investigations were ongoing. “The case was reported and investigations have begun. We will bring the perpetrators to justice,” he said.